Arsenal have been in brilliant form recently and the 5-1 thrashing of Fulham on Sunday meant that Gooners have now won nine in a row, in all competitions. One of the main reasons for Arsenal’s great run of results is the form of striker Alexandre Lacazette. After a slightly slow start to the season, the 27-year-old striker has now notched up five goals for the season. The Frenchman was at it again on Sunday as he put Fulham to the sword with a brace. What has stood-out about Lacazette recently, is the fact that he seems to be enjoying his football again. 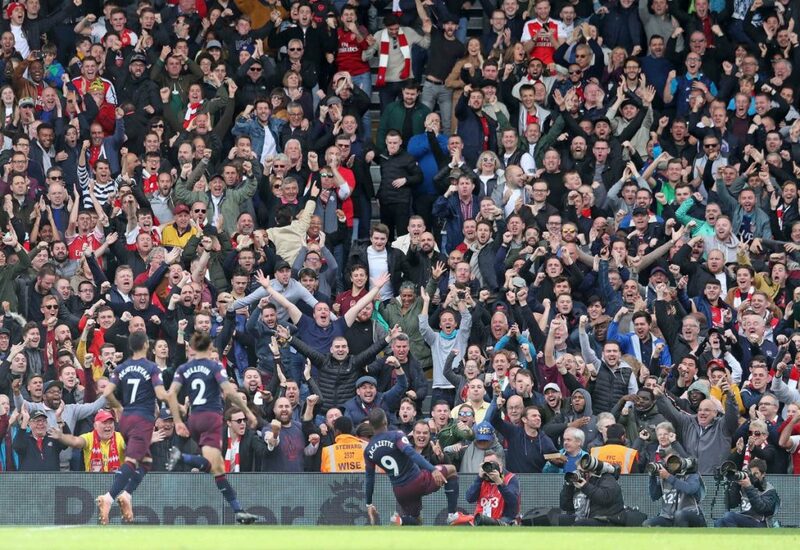 His goal celebrations certainly prove that as it seems the Frenchman feels settled at the North London club, after what was a difficult first season. Arsenal fans will be hoping the Frenchman continues his purple patch in front of goal for as long as possible. If he keeps producing the same level of performances, there is no doubt that Arsenal can seriously contend at the top end of the table.